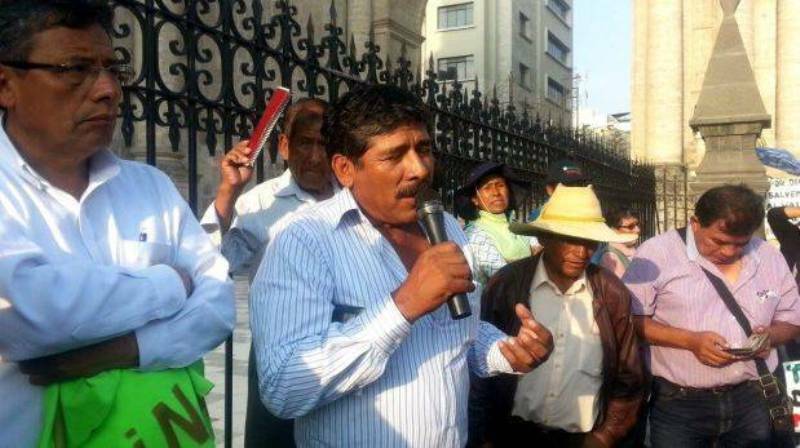 Leaders of the movement against the Tia Maria copper mine in Arequipa department walked out of a meeting with senior government officials today. As soon as they arrived for a meeting with national government officials, four local mayors and two anti-mining leaders from Islay province left the regional government building of Arequipa in a protest against the presence of elected officials at the table. 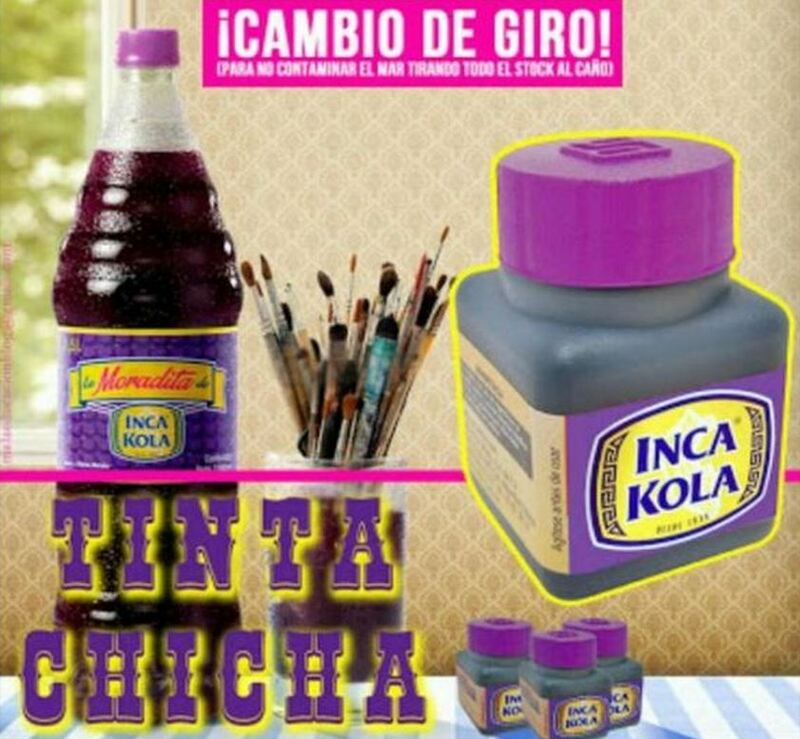 The Tia Maria opposition had requested that only ministers from President Ollanta Humala’s cabinet attend the talks. 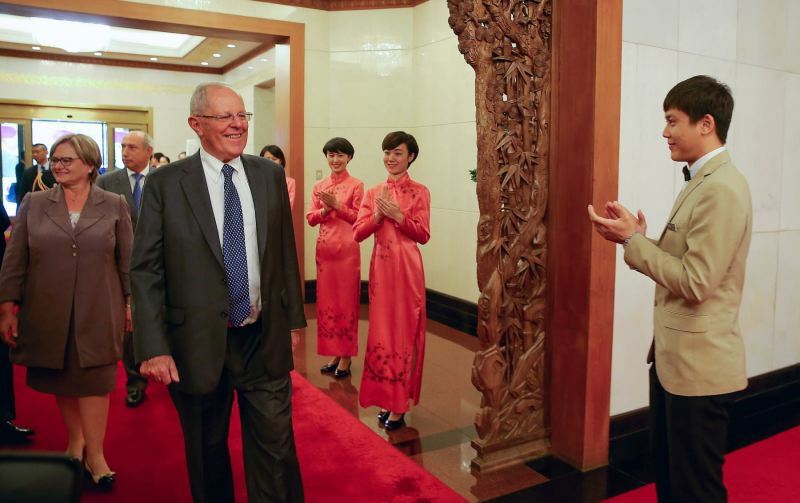 The elected officials in attendance included Arequipa governor Yamila Osorio, Arequipa mayor Alfredo Zegarra and four congressmen from Arequipa including congressional president Ana Maria Solorzano. In calling the talks a “circus,” the anti-mining leaders announced in Arequipa’s Plaza de Armas that the Tia Maria conflict does not involve legislators or representatives elected from outside Islay province. “It shows how people with no representation, no role or authority, are able to take actions that undermine the people of Islay, the Arequipa region and the entire country,” environment minister Manuel Pulgar said. 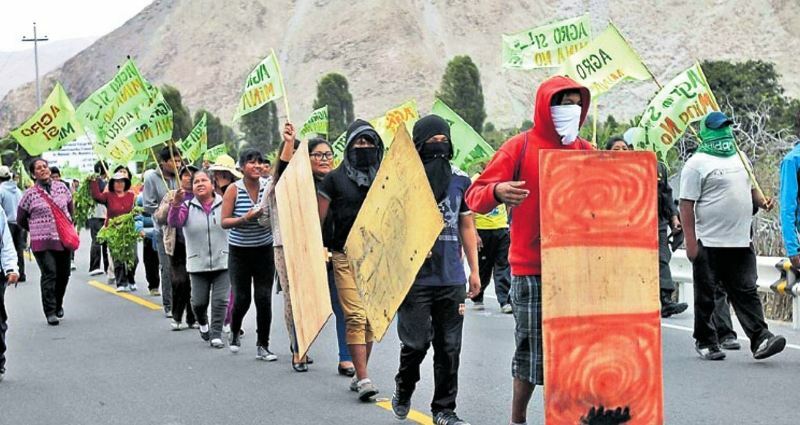 Opposition to Southern Copper’s Tia Maria copper mine has escalated in the last week during an indefinite strike which today completed its 38th day in the Islay province of Arequipa department. A protester was killed by police on Wednesday in Cocachacra, a farming community at the heart of the mining opposition. After protest leader Jesus Cornejo was jailed and released for blocking a highway, the Tia Maria opposition vowed to “radicalize” until Southern Copper abandoned the $1.4 billion copper mine.